Greetings! 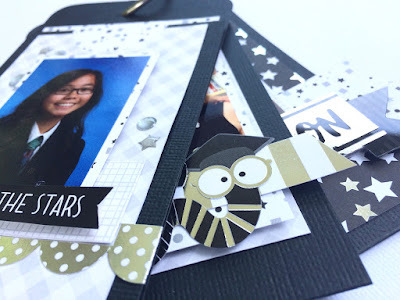 Hope you have been inspired by the off-the-page projects here on the blog. For this challenge I made a pocket tag mini book. 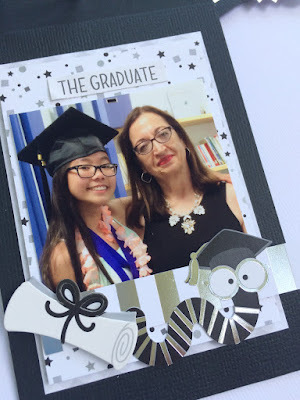 This is a great way to showcase your memories in a fun and compact format. By keeping the pocket tags clipped together on a ring, you can keep adding to the mini with more photos at your own pace. 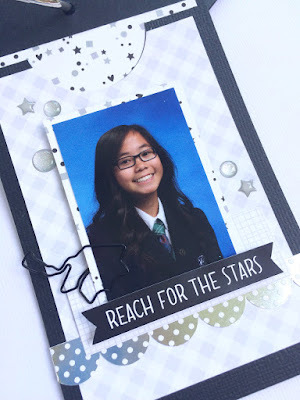 The base pages of my pocket tag mini album are made from 3.5"x11" strips of card stock. Score and fold each strip at the 5 inch mark, adhere the sides together and you have an instant pocket tags! Embellish the outside with photos/ephemera and tuck a journaling card into the pocket to document those special moments! 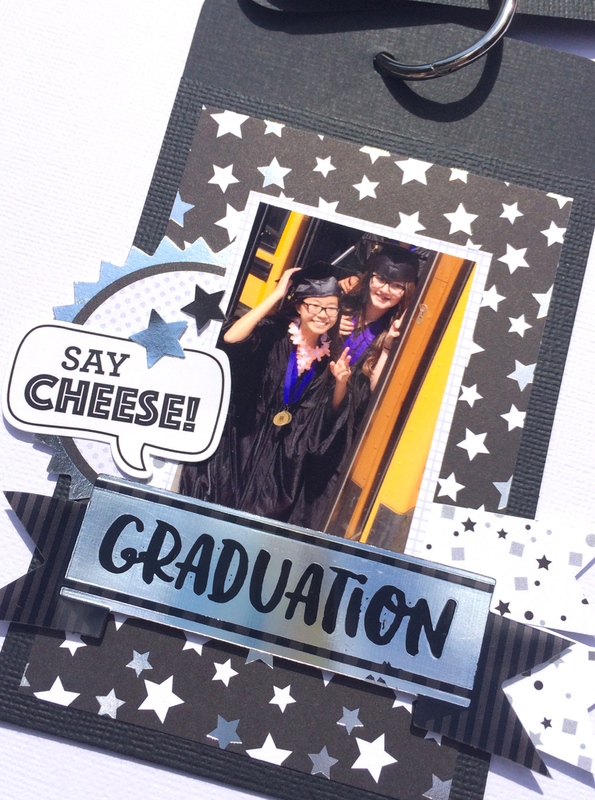 The theme of my mini is school graduation and the Hats Off collection is so perfect to cherish this milestone. Another awesome project could be a collection timeline of those yearly school photos!